Jn 2:1 (Douay trans.) And the third day, there was a marriage in Cana of Galilee: and the mother of Jesus was there. 2 And Jesus also was invited, and his disciples, to the marriage. 3 And the wine failing, the mother of Jesus saith to him: They have no wine. 4 And Jesus saith to her: Woman, what is that to me and to thee? my hour is not yet come. 5 His mother saith to the waiters: Whatsoever he shall say to you, do ye. 6 Now there were set there six waterpots of stone, according to the manner of the purifying of the Jews, containing two or three measures apiece. 7 Jesus saith to them: Fill the waterpots with water. And they filled them up to the brim. “Now there were set there six water pots of stone, according to the manner of the purifying of the Jews,” (Jn 2:6). This theme gives me a motive and reason for declaring what those things are which God ordained to purify our souls so that they might enter into paradise. But first let us salute the Virgin Mary, etc. “Now there were set there six water pots of stone etc.,” i.e. for purification. According to the spiritual sense [of scriptures] which I wish to employ, it must be known that in the Incarnation of our Lord Jesus Christ there was constituted a marriage between the Son of God and our humanity, because just as a man and woman “are not two, but one flesh,” (Mt 19:6), so Christ, God and man, is not two persons but one. There are not two supposites, but only one. The wedding took place in the chapel of the Virgin’s womb. So David, speaking of the divinity of Christ said, “He [is] like a bridegroom coming out of his bride chamber,” (Ps 18:6). But the nuptials took place not in this world, because it is not an appropriate or sufficient place for such nuptials, but it happened in the empyreal heaven. Authority. “The kingdom of heaven is likened to a king, who made a marriage for his son,” (Mt 22:2). For just as at the wedding of the chief steward no one entered unless they first had washed, and for this purpose there were six stone water jugs there, as the Theologian [John the evangelist] literally says, so neither in the wedding of paradise can someone enter unless he first is cleaned and purified in this world, because, “There shall not enter into it anyone defiled, or who does abominable things or tells lies,” (Rev 21:27). For this reason, Christ the bridegroom placed in this world six stone water jugs, six penitential works, for cleaning and purifying our souls. The first is heartfelt contrition. The second is sacramental confession. The third is penitential affliction. The fourth is spiritual prayers. The fifth is merciful giving. The sixth is forgiveness of injuries. The first water jug is the first work of penance, which is heartfelt contrition, when someone thinks about his sins and vices and evil deeds which he has committed and is contrite, saying “O miserable me, what shall become of me, because I have committed so many sins.” Against every state of life. First, the religious, because he did not keep the rules, or constitutions, nor ordinations of his order, but lived as he wished. When he recovers his senses, he is contrite saying, “O miserable me, what shall become of me,” etc. In this water jug the soul is washed and purified, especially when the water there consists of tears. About this, read the lamentation of King Hezekiah, “Behold in peace is my bitterness most bitter,” (Is 38:17). It says how the sinner is always at war with God, but contrition of the sinners makes peace between God and the sinner, and so he says, “in peace is my bitterness most bitter.” Peace is caused by bitterness, i.e. contrition. Or because from peace, namely, worldly bitterness is caused. This peace is bitter, more bitter, most bitter from the bitterness, i.e. contrition. Bitter because he lost the grace of God. More bitter, because he lost the inheritance of paradise. Most bitter because it is the judgment of infernal damnation. The second water jug is sacramental confession. Note that the confessor ought to sit like a judge, and the penitent ought, at his feet, to confess all his sins by accusing himself. etc. And at the end of confession, when the confessor absolves, the soul is purified of all mortal sins. About this image 4 Kgs 5 where we read that a certain nobleman who was a leper came to Elisha to be purified by him from the disease of leprosy. To whom the prophet said, “Go and wash seven times in the Jordan, and your flesh will heal, and you will be clean,” (4Kg 5:10). And so it happened. This was a prefiguring of confession, so that the river Jordan is the same as the river of judgment. Behold here is confession, in which the confessor is the judge, and so he should sit. The sinner is the accused who ought to be washed there seven times, i.e. to confess the seven mortal sins to which all other sins are reduced. First to confess of the sin of pride, not only in general because it is not sufficient, but in species, the same for the other sins, and so the soul is purified. O how great a grace is this, that the sinner is absolved by confession. It is just the opposite in human trials, in which the sinner, having confessed his crime, is sentenced and condemned. etc. So it is the greatest sin for those who do not wish to confess, but stay away for three or four years, etc. “If we confess our sins, he is faithful and just, to forgive us our sins,” by virtue of confession, “and to cleanse us from all iniquity,” (1Jn 1:9). For this reason the Church requires that everyone go to confession at least once a year, during Lent, and receive communion at Easter, otherwise they should be refused a church burial. The third water jug is voluntary penitential actions. The reason is because our flesh is the occasion of all the sins we commit. The soul, in its proper condition wishes to contemplate always, like the angels, but the flesh draws it down, now to pride, next to avarice, next to lust and so for the others. “For the flesh lusts against the spirit,” (Gal 5:17). So it is that the flesh is chastised and beaten back with penances and fasts etc., because it is better to correct a son or daughter than, that they be sent to the stocks. So the body is the son, and the flesh is the daughter, and it is better that they be corrected by you than by the wards of hell, i.e., by the demons. Authority: “But if we would judge ourselves, we should not be judged,” by God, ( 1Cor 11:31). The choice is ours, for we gladly diet for health’s sake, but for the health of the soul we are unwilling to do anything. Knights in armor, for no good reason, bear great burdens, they hunger, they thirst, they wield iron weapons, etc., but for their soul, nothing. God renders justice and punishment in hell. Authority: “No, I say to you: but unless you shall do penance, you shall all likewise perish. Or those eighteen upon whom the tower fell in Siloe, and slew them,” (Lk 13:3-4). Note, the eighteenth sin, namely, final impenitence, damns a man. The fourth water jug is spiritual prayer. Some pray only physical prayers, because they say only words, but their heart is thinking about something else, cooking dinner, or the market, or the tavern. Prayer is spiritual when someone ponders in their heart what they say with their mouth. Augustine in the Rule says: “When you pray to God in psalms and hymns, entertain your heart with what your lips are reciting,” (Rule of St. Augustine 2:3). To do this your two hands should be joined, which signifies the conjunction of voice and heart, and then it is spiritual prayer. 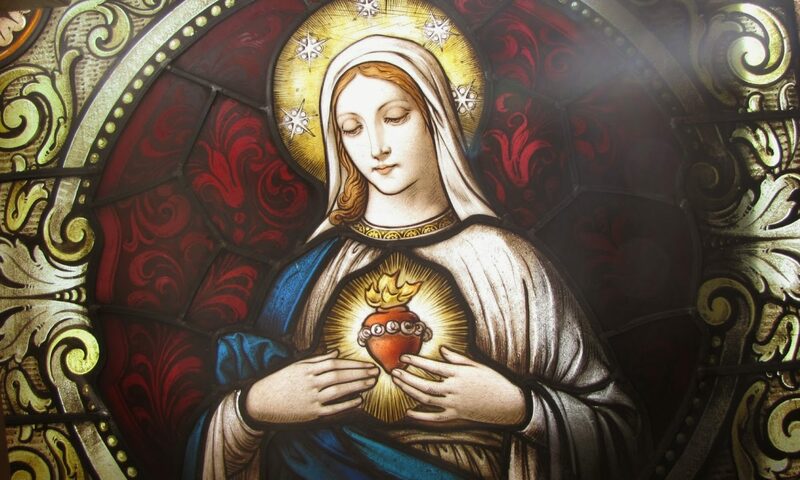 For example, when you say the Our Father or the Hail Mary, your heart ought then to think with whom you speak. He who speaks with the Pope or with the King, speaks with great reverence, not fidgeting or adjusting their clothing. So a man in prayer speaks to the high priest and king Christ, and so with great reverence, otherwise etc. The Apostle Paul writes. “If I pray in a tongue,” i.e. in such a way, “my spirit prays, but my understanding is without fruit. What is it then? I will pray with the spirit, I will pray also with the understanding; I will sing with the spirit, I will sing also with the understanding,” (1Cor 14:14-15). Such a spiritual prayer purifies the soul according to what Christ declared in Luke 18:13, about that publican who went up to the temple to pray saying, “O God, be merciful to me a sinner.” He did not know any other prayer. About whom Christ himself said, “Amen I say to you, this man went down into his house justified,” (Lk 18:14). And so it is necessary “to pray always,” (Lk 18:1), morning and evening, and not to give up. The fifth jug is merciful almsgiving, because God is generous and indeed most generous, so he himself says, “But yet that which remains, give alms; and behold, all things are clean unto you,” (Lk 11:41). Note “yet that which remains,” namely having made restitution, “give alms” from your own just goods, and “all things,” namely, sins, “are clean unto you.” If it is said what can I do, because I have stolen much and I now have nothing. The response is according to the law, “Whoever cannot pay should give back goods and is free.” Because the Rule of Law, 14, q. 6, chap 1: “If something belonging to another, on account of which is a sin, is able to be returned and is not returned, penance is not accomplished but feigned. If however it is truly done, the sin is not remitted until thing taken is restored if it is able to be restored. Often what is taken has been lost, he doesn’t have it to return. To this we certainly cannot say: Return what you have taken.” This Augustine: “So you would yield and serve God in good station and pray for those for whom you are bound, and so no one can be excused from restitution, either corporal or spiritual.” “Give alms out of your substance,” (Tob 4:7), and not from another’s. However much you can, so be merciful. If much has come to you, give abundantly, if a little has come to you, even then try to give your little bit generously. The sixth jug is forgiveness of injuries. If you want God to forgive the injuries, which you have committed against God, forgive your enemies their injuries which they have committed against you. To the extent that you forgive your enemies, to that extent God forgives you, because God cannot be bested by creatures in goodness, which would be the case if you would forgive and he would not forgive you. Tell how in the particular or universal judgment God would show to the soul its sins saying, “Let’s see what I have done for you, and what you have done for me.” Blessed are you if you then are able to say, truthfully, “And if I have not have done as much for you as you have done for me, nevertheless out of your love forgive such an injury, etc.” God is satisfied, and so he himself says, “For if you will forgive men their offences, your heavenly Father will forgive you also your offences. But if you will not forgive men, neither will your Father forgive you your offences,” (Mt 6: 14-15).